Welcome to Denver. With the impressive Rocky Mountains as a backdrop, Denver effortlessly blends the city’s Old West heritage with today’s modern skyscrapers and urban energy. Upon arrival at Denver International Airport, transfer independently to your hotel where you will meet your ATI Tour Director. This morning, enjoy a short city tour of the "Mile High City", including the gold-domed State Capitol whose 13th step on the west side of the building is exactly 5,280 feet above sea level - one mile high. A short distance from Denver you'll enter Rocky Mountain National Park where you'll feel like you're on top of the world. 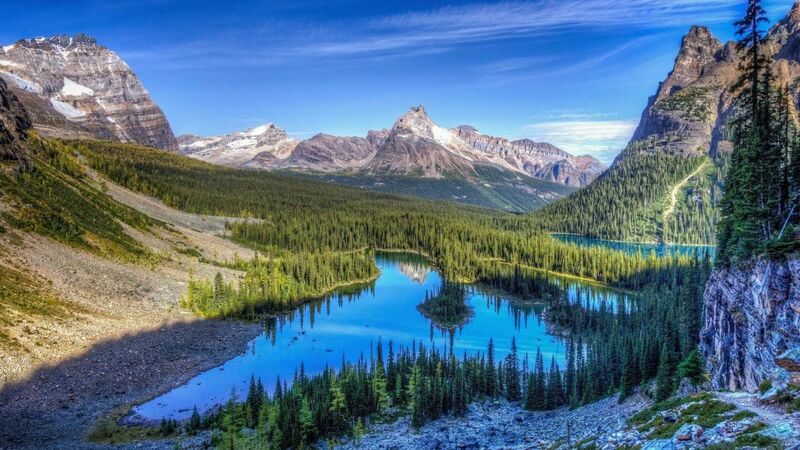 Here, 415 square miles encompass and protect spectacular mountain environments. And if you thought the journey to the park was beautiful, just wait until you experience Trail Ridge Road. Known appropriately as the "Highway to the Sky", and offering incomparable views in every direction, Trail Ridge Road winds past countless peaks, through tundra high above the treeline and crosses the Continental Divide at 12,183 feet. Continue to Cheyenne, Wyoming's capital city that embodies the spirit of the Old West. Considered the nation's railroad capital, Cheyenne is home to a collection of steam engines, including Old Number 4004, the world's largest steam locomotive and one of the eight remaining Big Boys on display throughout the country. Your journey begins this morning with a visit to Fort Laramie National Historic Site. Originally established as a private fur trading fort, this "grand old post" evolved into the largest and best known military post on the Northern Plains and witnessed the entire sweeping saga of America's western expansion. 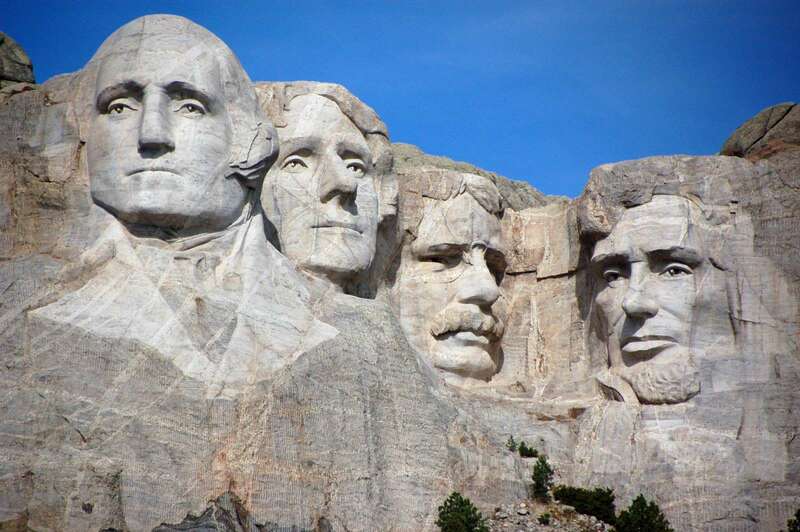 Continue through the majestic beauty of South Dakota's Black Hills to Mount Rushmore National Memorial where you'll come face to face with George Washington, Thomas Jefferson, Theodore Roosevelt, Abraham Lincoln, and America's rich heritage. Today, crossing back into Wyoming en route to Cody, you'll travel through Bighorn National Forest where undisturbed rolling hills, alpine lakes, craggy cliffs, thick pine forests and the Bighorn Mountains dominate the landscape. Upon arrival in Cody you'll visit the Buffalo Bill Museum. Celebrating the spirit of the American West, including the culture and art that bring the heritage of Wyoming alive, the Buffalo Bill Museum focus' on the life and times of William F. "Buffalo Bill" Cody, the town founder and a living legend. 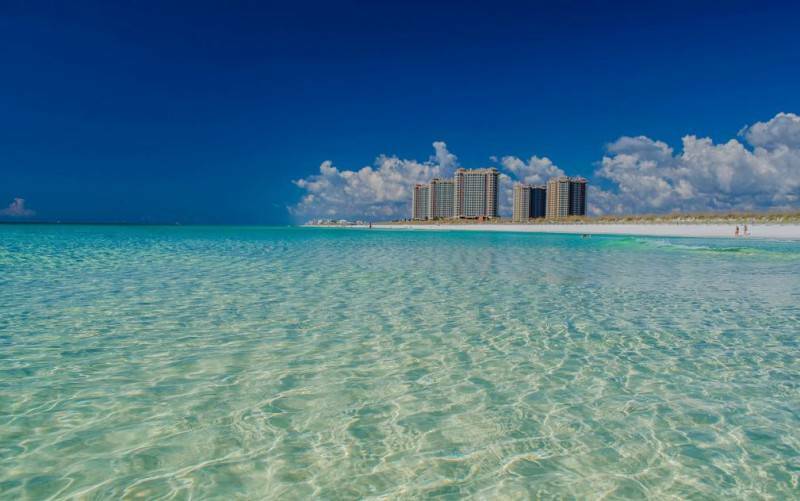 In the evening enjoy attractions that include rodeos, gun fight reenactments and cowboy music. Today, take an unforgettable journey into America's first national park and nature's wonderland ... Yellowstone National Park. Here, the Earth is in action with geysers, mountain ranges and rivers, waterfalls, and ancient volcanoes. 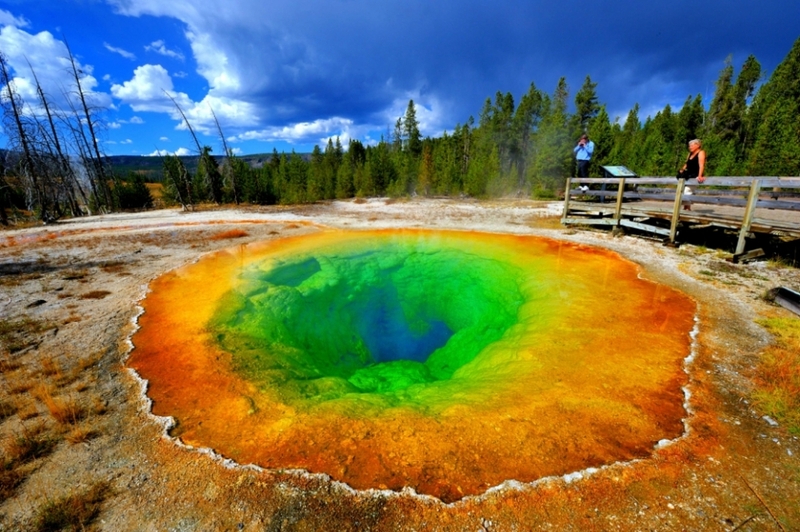 The iconic spots - Old Faithful, Mammoth Hot Springs and Yellowstone Canyon - will be familiar from photographs, but seeing them in person is a humbling experience. They're not just as good as you've heard - they're better. This mountain wildland is also home to eagles, grizzly and black bears, buffalo, elk and much more, so you're bound to see wildlife wherever you go. An exquisite mountain landscape where jagged peaks tower more than a mile above the Jackson Hole valley, Grand Teton National Park is located just south of Yellowstone. Rising above a scene rich with extraordinary wildlife, pristine lakes and alpine terrain, the Teton Range dominates the park's skyline and stands as a monument to the people who fought to protect it. A stop will be made at the Snake River Overlook, a location made famous by Ansel Adams, where views of the Snake River flowing along the mountains puts the size of the Tetons into perspective. 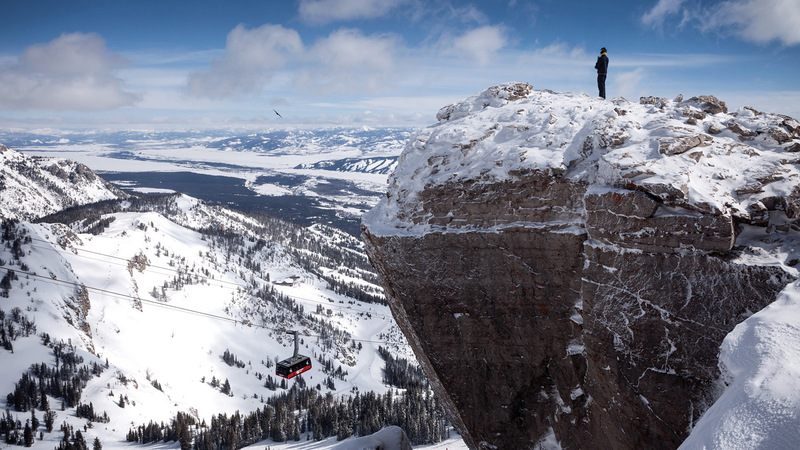 Continue to Jackson Hole, an area encompassed on all sides by mountain barriers. Today's journey takes you through scenic Southern Idaho to Salt Lake City, the Mormon state of Utah's capital and most populous city. Upon arrival, enjoy views of the State Capitol Building and downtown's historic Temple Square, home to the 6-spired Salt Lake Temple and domed Tabernacle of the world-famous Mormon Tabernacle Choir, prior to arriving at your hotel. This evening we recommend dining at The Roof Restaurant (optional). The Roof offers an extravagant buffet and inspiring views of the Salt Lake Valley and Temple Square. 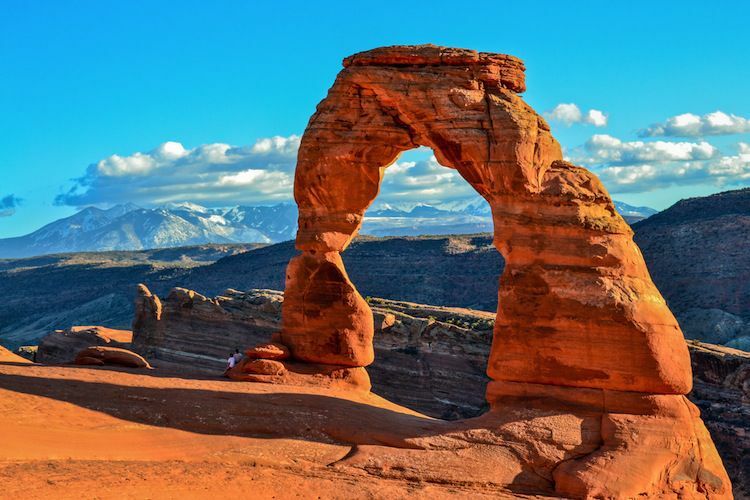 Heading south this morning you'll pass through Provo, home to Brigham Young University, en route to one of Utah's Mighty 5, Arches National Park. Once in the park you'll discover a landscape of contrasting colors, landform and textures unlike any other in the world. With over 2,000 natural stone arches, in addition to hundreds of soaring pinnacles and giant balanced rocks, this red rock wonderland will amaze you with its formations and inspire you with its most unique scenery. Today we visit Canyonlands National Park, we invite you to explore a wilderness of countless canyons and fantastically formed buttes carved by the Colorado River and its tributaries. Rivers divide the park into four districts: the Island in the Sky, the Needles, the Maze, and the rivers themselves. We will visit some of the most scenic spots in the Island in the Sky mesa that rests on sheer sandstone cliffs over 1,000 feet above the surrounding terrain. Return to the hotel in late afternoon. 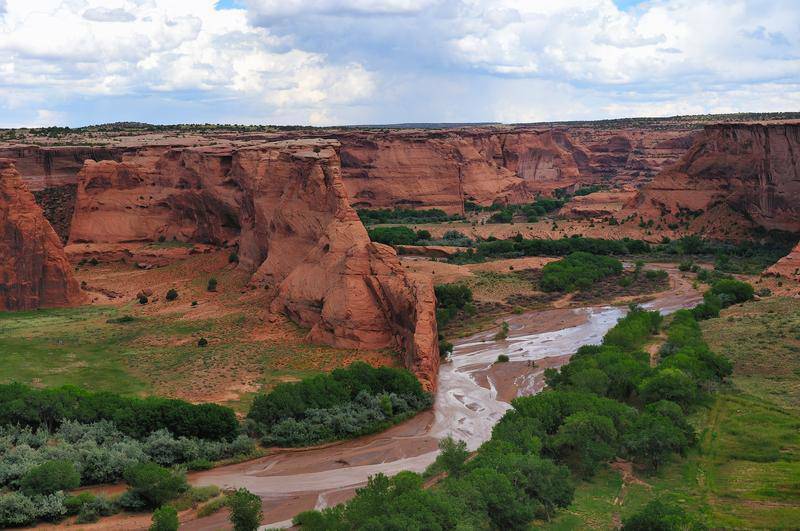 Crossing into Arizona where traces of a rich history, miles of cacti in every size, shape and style, and natural wonders mark the awesome terrain, you'll make your way to Chinle, gateway to Canyon de Chelly National Monument. 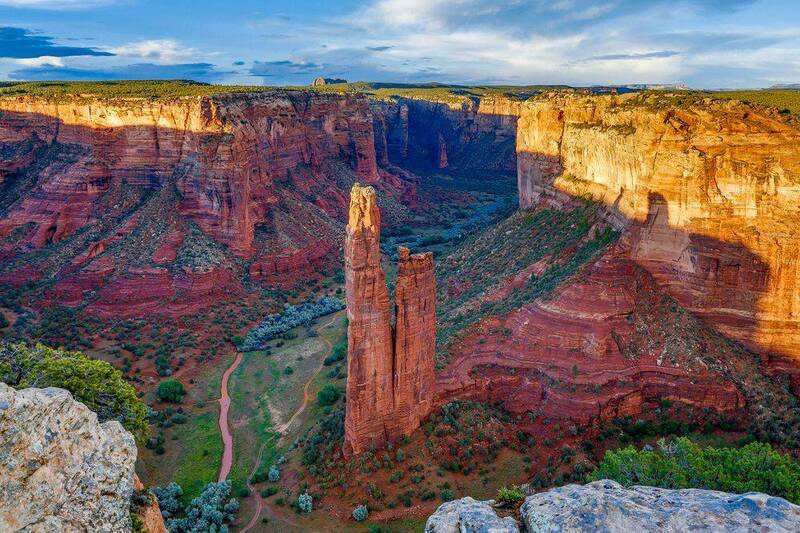 Located entirely on Navajo tribal lands and known for its steep canyon walls dotted with hundreds of ancient pueblo ruins. Here, distinctive architecture, artifacts and picturesque vistas of rocky outcroppings are all remarkably preserved, providing a peek into the lives of the canyon's earliest inhabitants. Leaving Chinle, today's journey takes you through the Navajo Reservation and dramatic lands of western New Mexico to Gallup. Having barely changed since Route 66's heyday, Gallup serves up a slice of Americana rarely seen nowadays along with one of the best strips of neon signs you'll see anywhere on the old route. Stroll the Plaza, dine at one of the many restaurants, shop for unique gifts from the Southwest in one the stores or galleries. This morning, venture onto the Turquoise Trail, the National Scenic Byway linking Albuquerque and Santa Fe. Named for the rich turquoise deposits found throughout the area, and offering views of the Sandia Mountains and Cibola National Forest. Santa Fe, the nation's oldest capital city, is nestled in the foothills of the Rocky Mountains, set against a back drop of landscape that inspired its own Georgia O'Keeffe's startlingly colorful paintings, this is a paradise for history buffs and cultural explorers. 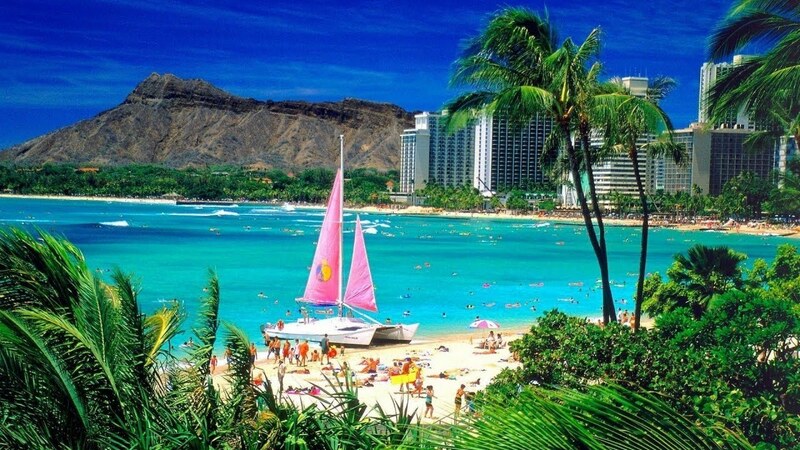 Ample leisure time this afternoon provides the perfect opportunity to explore world-renowned art galleries. Travel from Santa Fe to Taos where you'll follow alongside the Rio Grande as it winds its way through canyons and red-rock cliffs before rising to a spectacular view of the river gorge and rich landscape of Taos valley. Visit the only living Native American community designated both a World Heritage Site by UNESCO and a National Historic Landmark, Taos Pueblo, whose multi-story adobe buildings have been continuously inhabited for over a 1,000 years. Heading north from Taos back into Colorado, you'll discover the scenic beauty and favorable climate that has lured visitors to Colorado Springs for years. 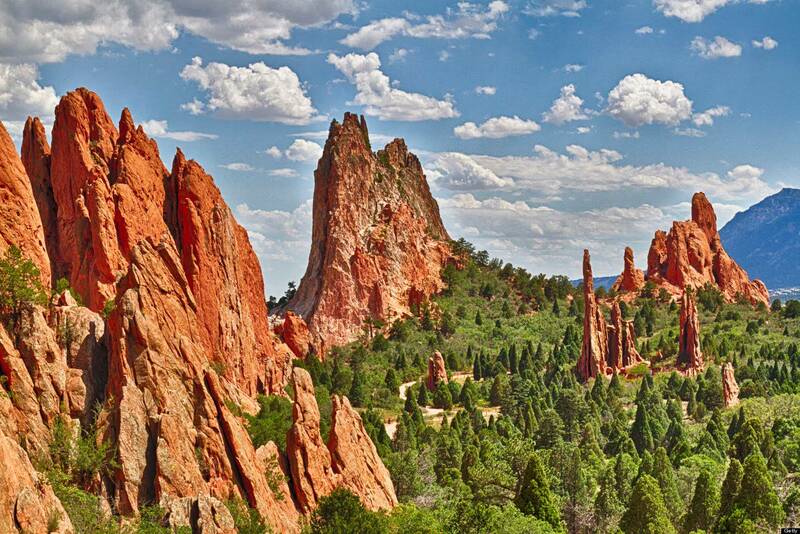 Stop at Garden of the Gods, where you'll delight in one of the most photographed landscapes. 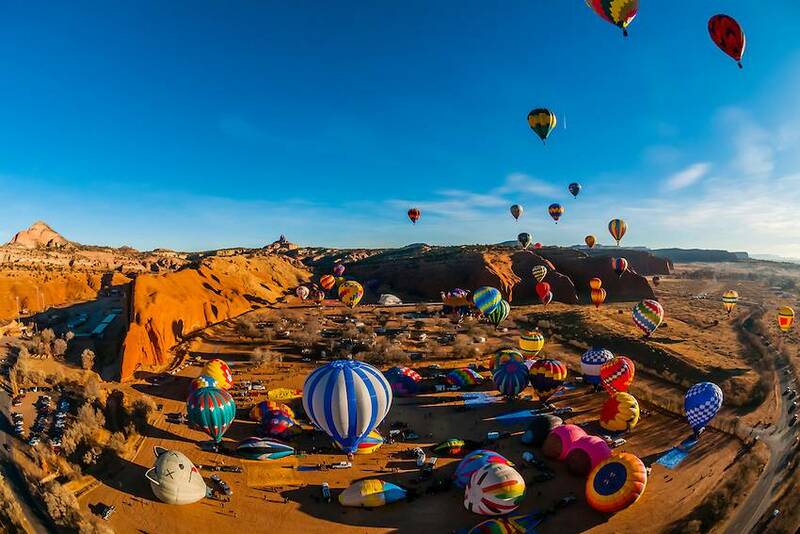 Imagine dramatic views of the foothills and 300 foot towering red sandstone rock formations set against a backdrop of snow-capped Pikes Peak and brilliant blue skies. Returning to Denver you will have ample free time to explore more of the city's must-sees, including the U.S. Mint, 16th Street Pedestrian Mall, Larimer Square, City Park, Denver's largest park offering stunning mountain views, and much more. Tour ends upon arrival at Denver International Airport. - Day 1 (Saturday): Upon arrival, passengers should check-in at the front desk of the Holiday Inn Denver- Cherry Creek and identify themselves as participants of ATI’s Rocky Mountain Frontiers Motorcoach Tour. Passengers arriving between the hours of 2:00 pm and 8:00 pm should then proceed to ATI’s Hospitality Desk and check in with ATI’s Tour Director. 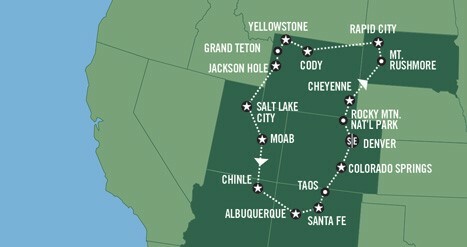 - Day 2 (Sunday): ATI’s Rocky Mountain Frontiers Motorcoach Tour departs for Cheyenne at 8:00 am. Passengers should meet ATI’s Tour Director in the lobby of the Holiday Inn Denver-Cherry Creek with their luggage at 7:30 am. Passengers will have the opportunity to enjoy an orientation tour of Denver before departing to Cheyenne. - Day 14 (Friday): ATI’s Rocky Mountain Frontiers Motorcoach Tour concludes upon arrival at Denver Airport at approximately 5:00pm or the Holiday Inn Denver-Cherry Creek at approximately 6:00 pm.